This week we have an interview with Dr Jim Webber about Knowledge Graphs and Modern AI, lots of resources for learning about GraphQL and Neo4j, the Open Beer DB Graph, and more! 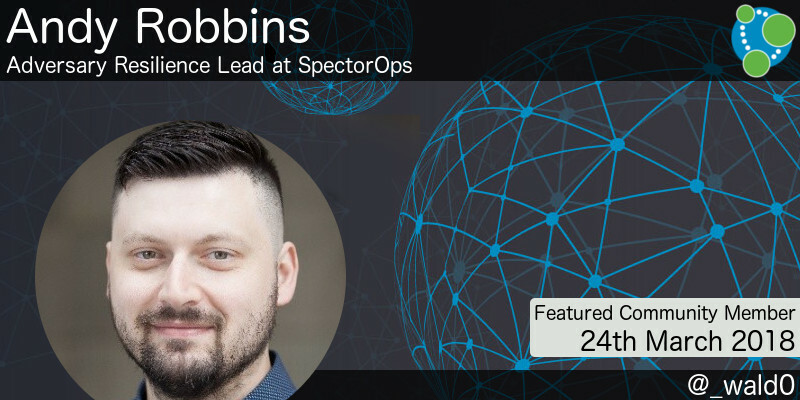 This week’s featured community member is Andy Robbins, Adversary Resilience Lead at SpecterOps. Andy has been part of the Neo4j community for several years and is one of the authors of the BloodHound security engineering tool. BloodHound uses graph theory to reveal the hidden and often unintended relationships within an Active Directory environment. Andy presented on this at GraphConnect NYC 2017. Andy has recently written a couple of blog posts about the Adversary Resilience Methodology where he explains how BloodHound can be used to defend against attackers. Andy’s also created a short video showing how to get setup with BloodHound and Neo4j on your laptop. On behalf of the security and Neo4j communities, thanks for all your work Andy! This week we’ve got several articles about Neo4j and GraphQL, Facebook’s query language for your API. Peter Meyers has created a Starwars based example application which combines Neo4j, Kotlin, and GraphQL. You can find the code in the neo4j-exploration GitHub repository. 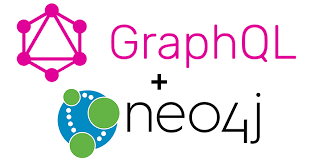 Monty Kamath has written an experience report about writing a GraphQL to Neo4j mapping layer in which he explains some of the challenges he had but concludes that it was a pretty fun journey. I also came across Marco Liberati’s graphql-graphdb. This one’s in Italian, but with a bit (ok a lot!) of help from Google Translate I learnt that it contains the code from a talk where Marco showed how to build a GraphQL API on a meetup dataset stored in Neo4j. If you try out either of these tools don’t forget to send your feedback to devrel@neo4j.com. 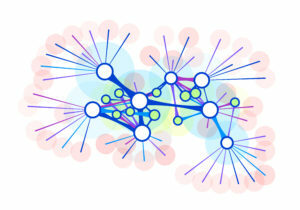 datanami have an interview with Neo4j’s Chief Scientist Dr Jim Webber. In the first part of the interview Jim explains how important context is across a range of different applications such as fraud detection, retail recommendation engines, and knowledge sharing. In the second part he describes the important role that knowledge graphs play when building modern AI systems. Niklas Saers has written a blog post about the latest release of Theo, the Swift Neo4j driver. This release adds support for 4.0 and introduces a results-oriented API. 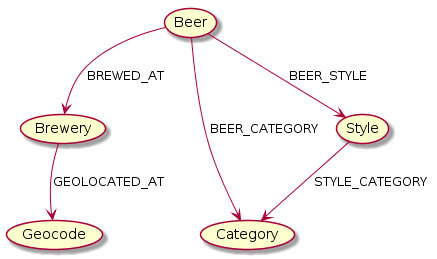 Kevin Heraud created Open Beer DB – a Neo4j graph based on the data from openbeerdb.com, inspired by Wai-Yin Kwan’s Beer & Breweries GraphGist. Mark Henderson, whose Pypher library featured in the February 17th 2018 version of #twin4j, is creating a Python OGM. If you have any ideas for what Mark should call the library or have any other feedback he’s @emehrkay on twitter. Michael Hunger has started working on neo4j-kafka, a library that will stream transaction event handler events to a Kafka topic. This one is still in its infancy but worth keeping an eye on. I had to catch myself, there was some seriously cool stuff here.